University of Illinois Press, 9780252083785, 256pp. The issue of Native American mascots in sports raises passions but also a raft of often-unasked questions. Which voices get a hearing in an argument? What meanings do we ascribe to mascots? Who do these Indians and warriors really represent? 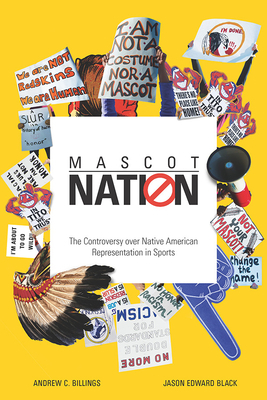 Andrew C. Billings and Jason Edward Black go beyond the media bluster to reassess the mascot controversy. Their multi-dimensional study delves into the textual, visual, and ritualistic and performative aspects of sports mascots. Their original research, meanwhile, surveys sports fans themselves on their thoughts when a specific mascot faces censure. The result is a book that merges critical-cultural analysis with qualitative data to offer an innovative approach to understanding the camps and fault lines on each side of the issue, the stakes in mascot debates, whether common ground can exist and, if so, how we might find it.